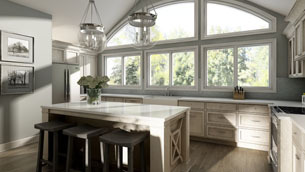 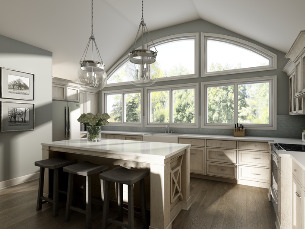 A u-shaped kitchen provides ample space for entertaining, complete with an island. 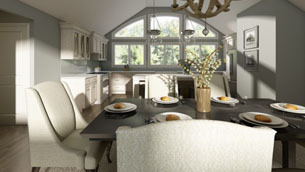 Vaulted ceilings and a central table area make this the kitchen of your dreams. 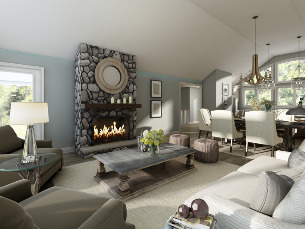 Welcome guests to the stunning dining/living room in the Dorset III with an optional gas fireplace and an open-concept design that is the perfect to enjoy with family and friends. 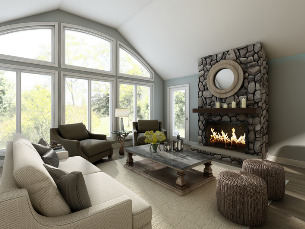 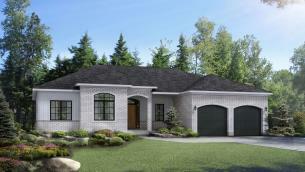 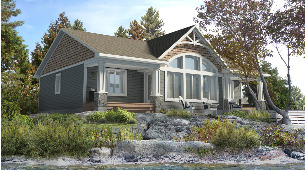 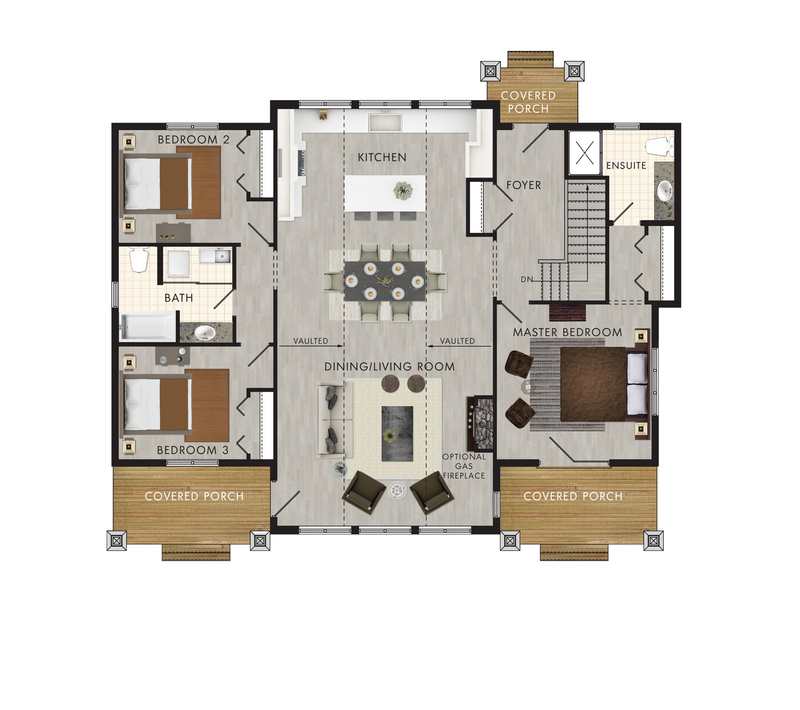 The Dorset III is an open concept bungalow with a sprawling central living area, complete with vaulted ceilings. 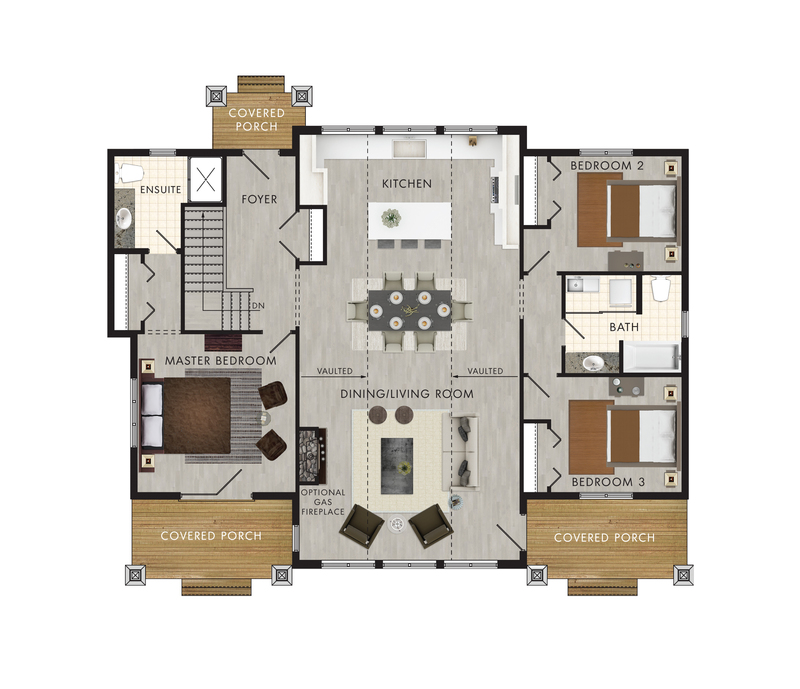 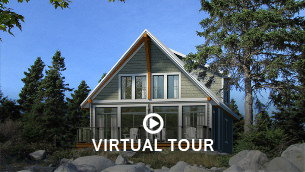 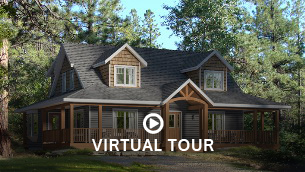 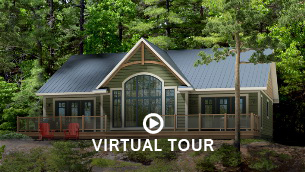 A three bedroom home encased with covered porches, it is the perfect place to entertain and relax.